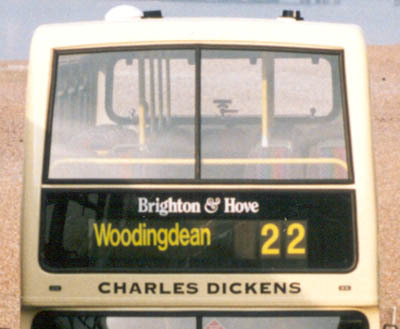 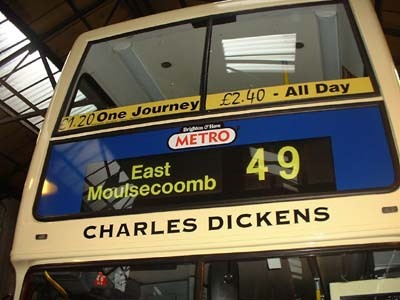 Connections with Brighton and Hove : In the days before radio and TV, novelists were often stars and when Dickens came to Brighton to give readings from his books, he filled halls wherever be spoke. 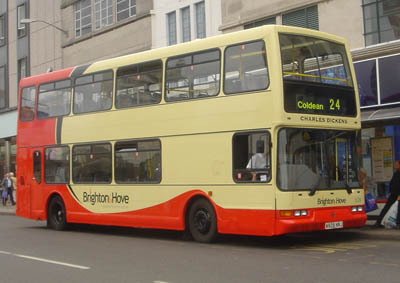 Largest of these in Victorian times was the big meeting room at Brighton Town Hall. 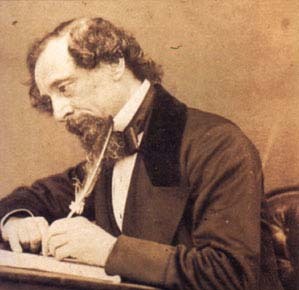 Dickens also stayed at the old Bedford Hotel, which was destroyed by fire in 1964. 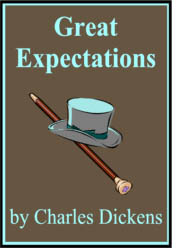 Dickens, whose works included Great Expectations and David Copperfield, had a strong sense of justice and often campaigned for the underdog. 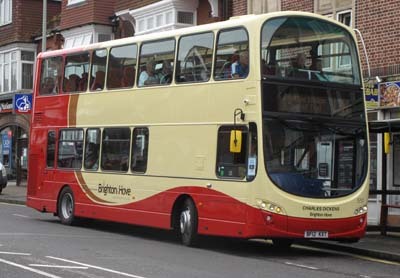 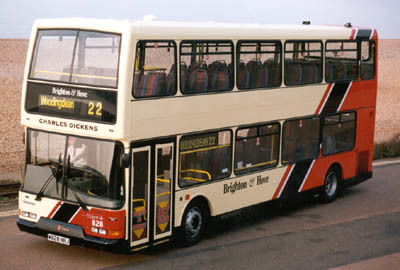 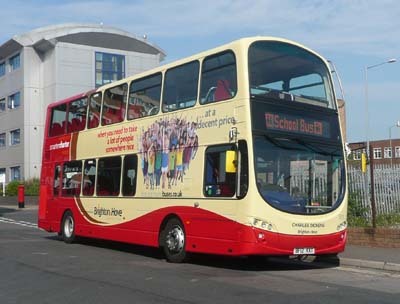 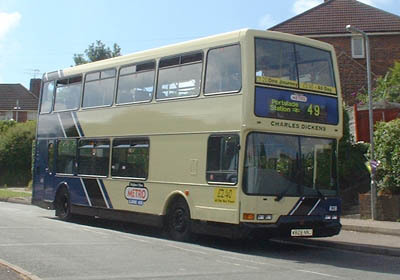 828 Dennis Trident - carried name since delivery in March 2000, originally in normal red livery then repainted into METRO Line 49 livery from July 2003, repainted into the new livery July 2005. 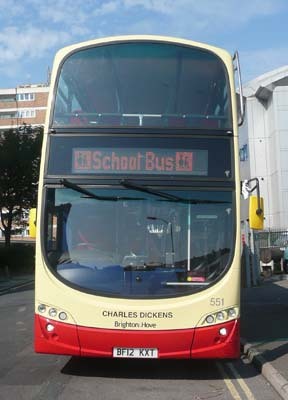 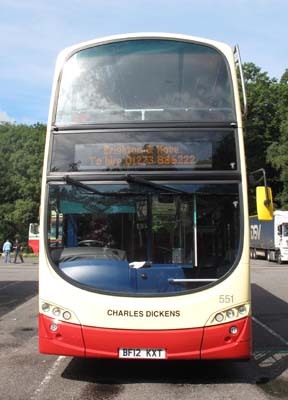 Name transferred to new Volvo Gemini 551 in May 2012. 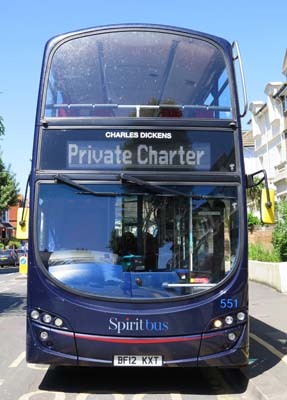 Smarter Charter branding added September 2012. 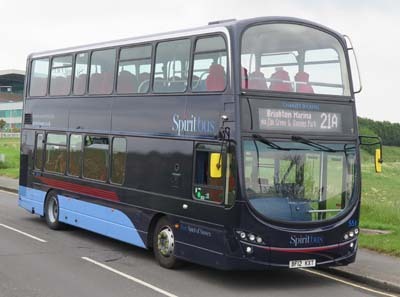 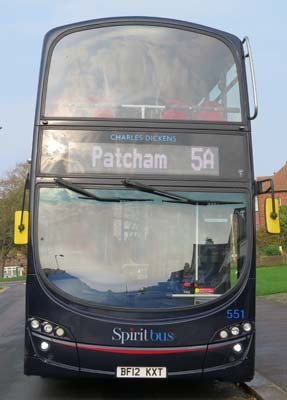 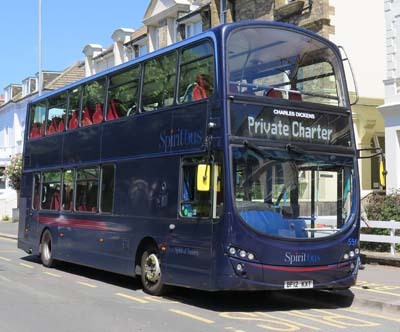 Repainted in to SpiritBus livery May 2017. 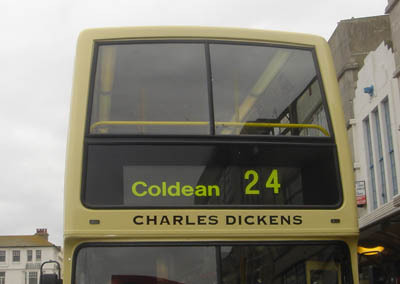 Name changed into white lettering June 2018.